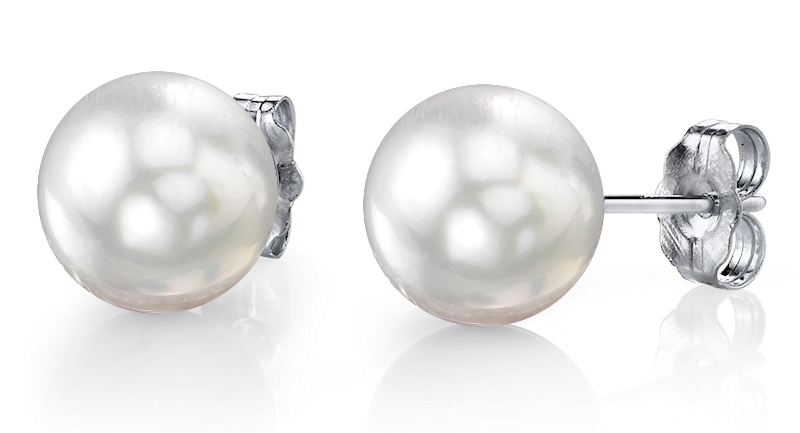 Pearl earrings are a staple for any jewelry box. These classics add a touch of elegance to any look. At The Pearl Source you are guaranteed to find the perfect set of pearl earrings for yourself or a loved one. 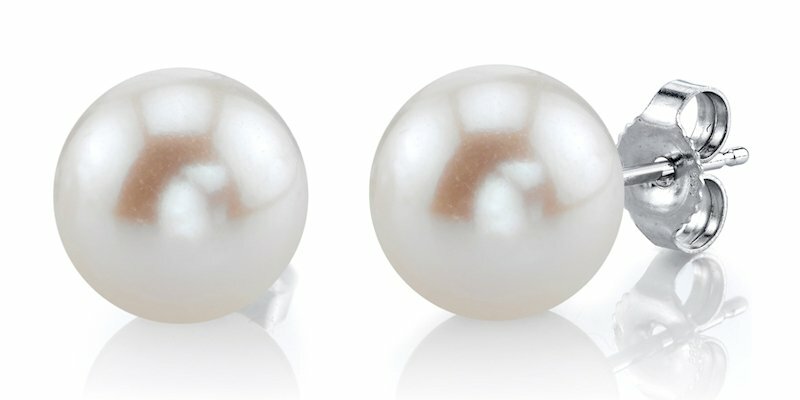 Pearl earrings can be worn with any outfit and can suit virtually any style. They can be worn on a daily basis, but are elegant for special occasions as well. They are a “go-to” accessory for every woman! 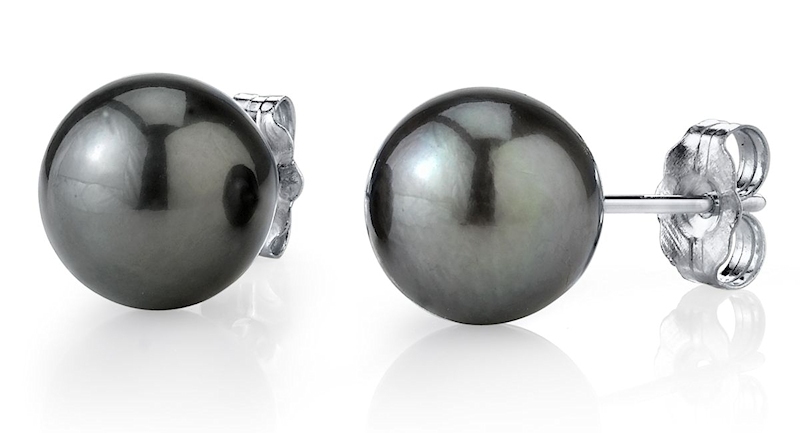 Whether you are going for the classic white pearl earrings look or want something a little more unique like an exotic set of Tahitian pearl earrings, there are a few factors to consider when making your purchase. Pearls come in many different sizes. For some women, larger pearls can get heavy and uncomfortable on the ear. On the other hand, smaller pearls might be too small and dainty for an adult. To better picture the pearl size options we offer and avoid disappointment, The Pearl Source offers a handy pearl diameter chart for actual size comparison. Also, each of our pearl earrings has a model photo to give you a good idea of how they look on a real person. 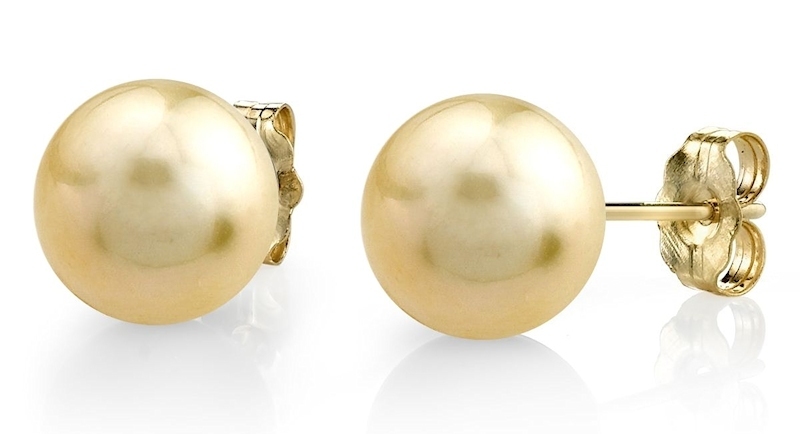 Another option to consider is whether you prefer a simple pearl stud earring that highlights the beauty of a pearl, or a dangling style that combines 14K gold and diamonds for a more prominent look. 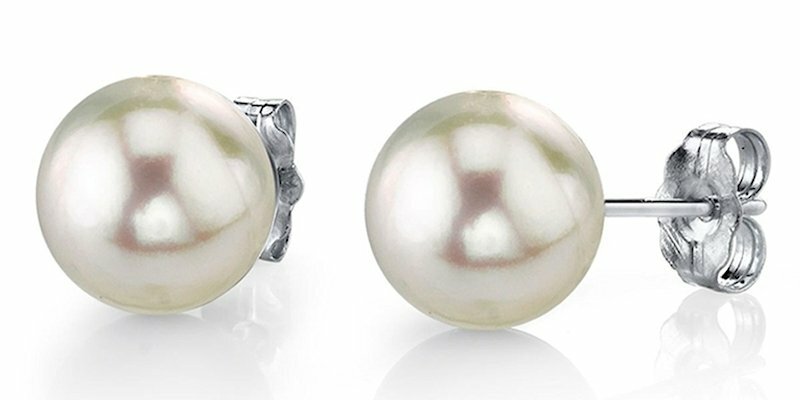 Pearl earrings can be the perfect complement to a pearl necklace or pearl bracelet. The pearl experts at The Pearl Source can easily match any set of pearl earrings to a necklace or bracelet that is purchased at the same time. As usual, our helpful pearl experts are here to help you find the perfect piece of pearl jewelry at any time.